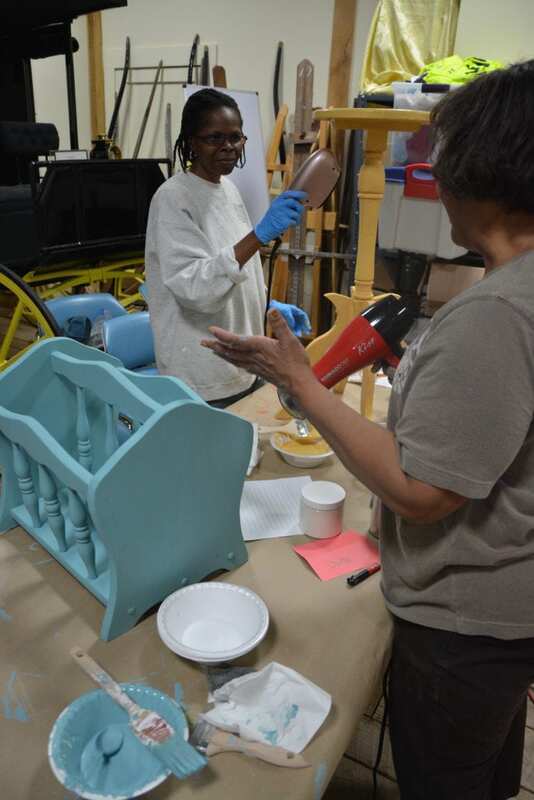 There are a lot of things I love about furniture painting classes, which I hold monthly for folks that live in the Maryland, DC, and Virginia area. It’s not just the fact that I’m able to help people who have never lifted a paint brush before to complete their first project, or that it’s always been my dream to inspire people to be creative. But it’s also the fact that I leave class feeling equally inspired, too! If you’ve been following this blog for any length of time, you’ll know how much I totally loooove turquoise. But when students come to class and pick their colors, often times they pick colors and pretty combinations that I have never considered before, which look amazing! It leaves me excited for my next project and the awesome color combos that I could do for an upcoming project. I wanted to share with you some of those combinations, highlighting the students’ projects from class this weekend! 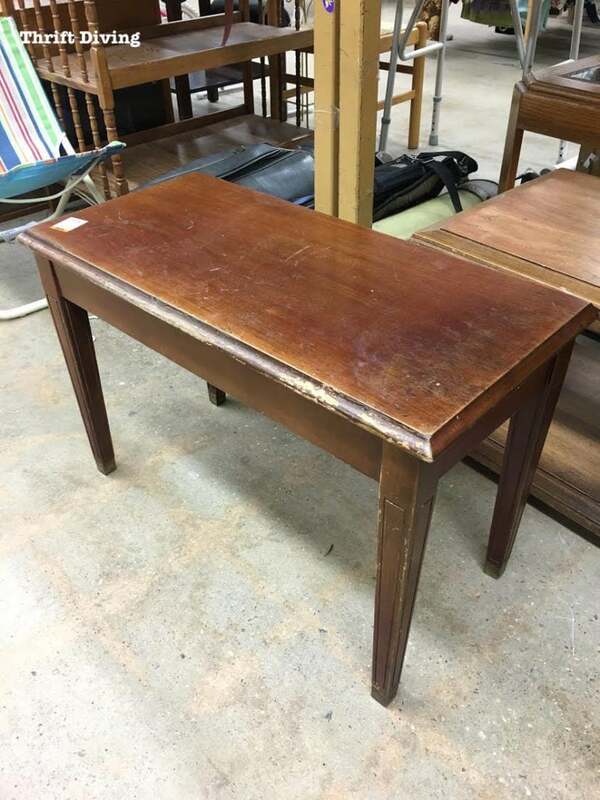 This sad little table had potential. I knew it when I saw it in the thrift store because was heavy and solid! 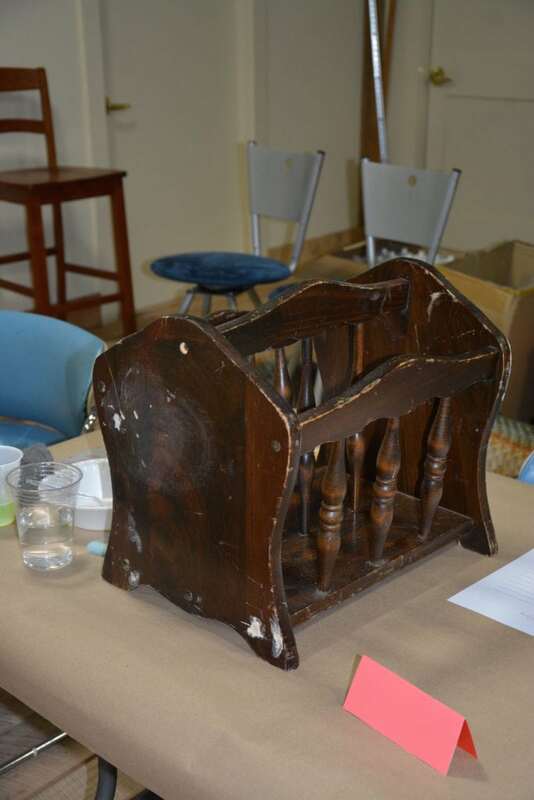 Most people would walk away from a table like this because it was chipped badly on top. But I knew it would make a great project for a student in class because it was an opportunity to show them how to use an orbital sander, totally smoothing out those imperfections before painting! 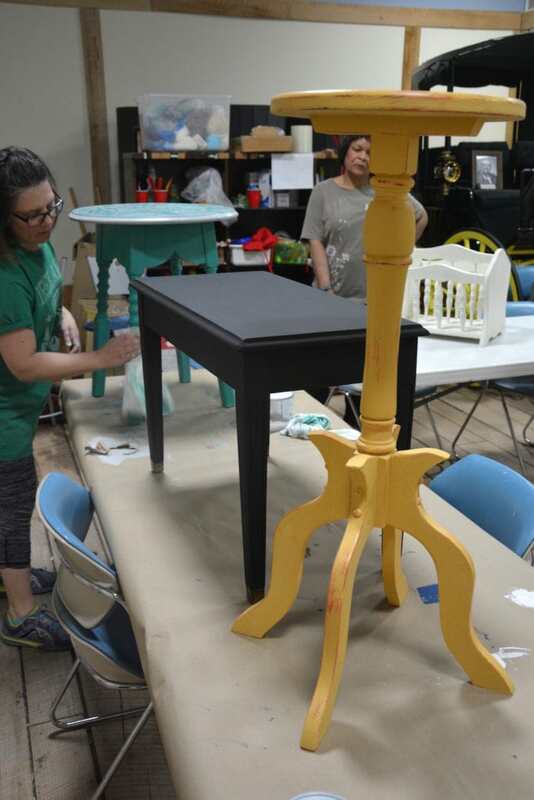 After I took the students outside and everyone got a turn at using the sander, one of the students, Jen, got to work on this little table, adding a coat of pretty Florence all over. 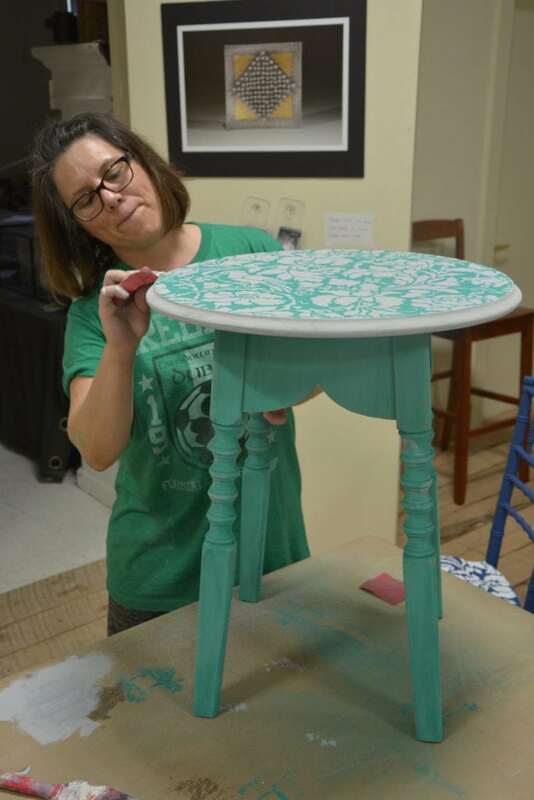 At first, she had planned to cover the whole thing in gray for a two-tone look, until she saw my favorite damask floral stencil and decided to stencil the top. I’m so glad she did! It looked soooo good!!! 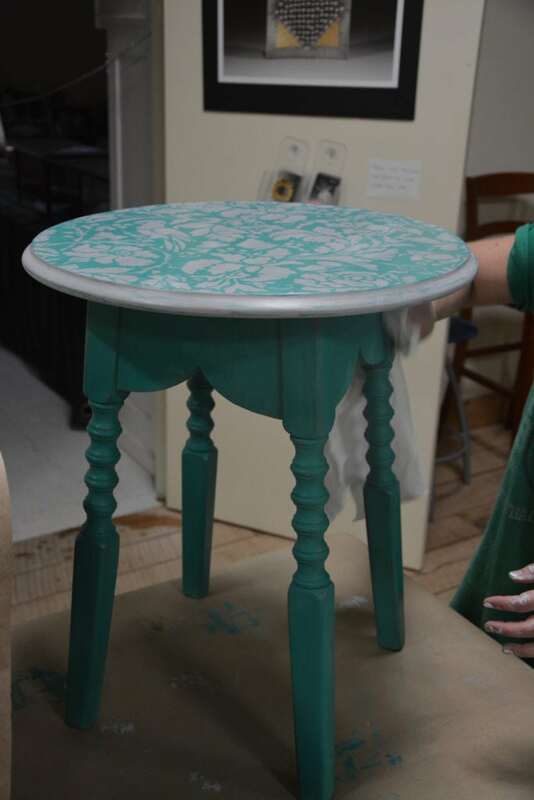 See my tutorial on how to stencil a table. TIP: Using Paris Gray with a stencil on top of a stronger color helps to soften it. Paris Gray pairs well with so many other colors, especially Florence! 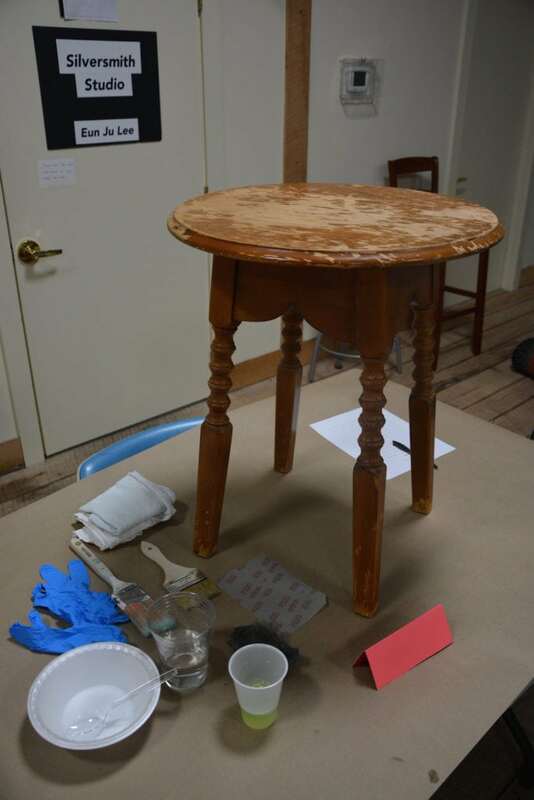 Next, she did some light distressing around the legs and top with medium-grit sandpaper, then added a coat of clear wax. 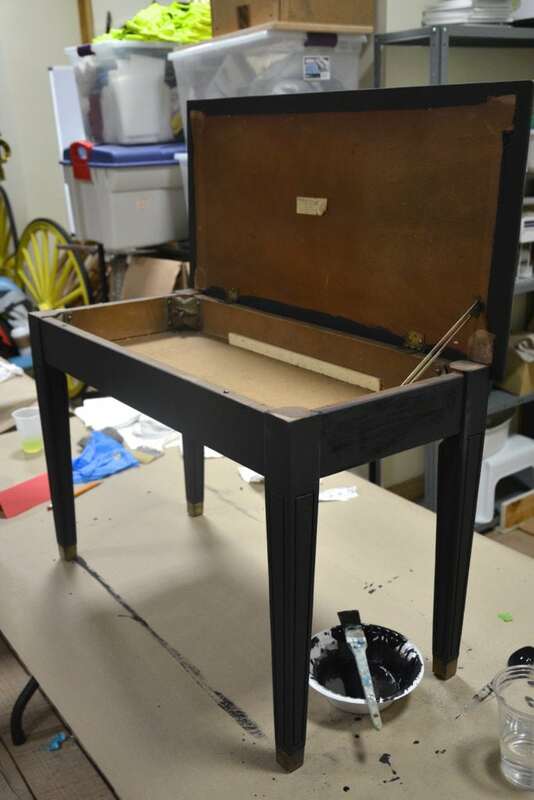 (Check out this jewelry box makeover I did with Paris Gray as a stencil). I think it looks amazing!!! This is such a pretty color combination of Florence and Paris gray. I can’t wait to try it myself! It’s so funny how I found this plant stand at the thrift store. Well, actually, I didn’t find it. My thrifting friend, Pete, had found it (you can read all about Pete here). If you remember Pete, he’s a thrifting pro that I met last year. It doesn’t matter what day of the week it is–if I hit the thrift store early in the morning, there’s a 95% chance I’ll run into Pete, who’s 10x the thrifting addict that I am! I hoped it would be there the following day when I could hit that thrift store, and lucky me, it was! It looked like some dog had gotten ahold of one end, but I knew it wasn’t anything that wood filler couldn’t fix! Denise, one of the students in class, chose this project. 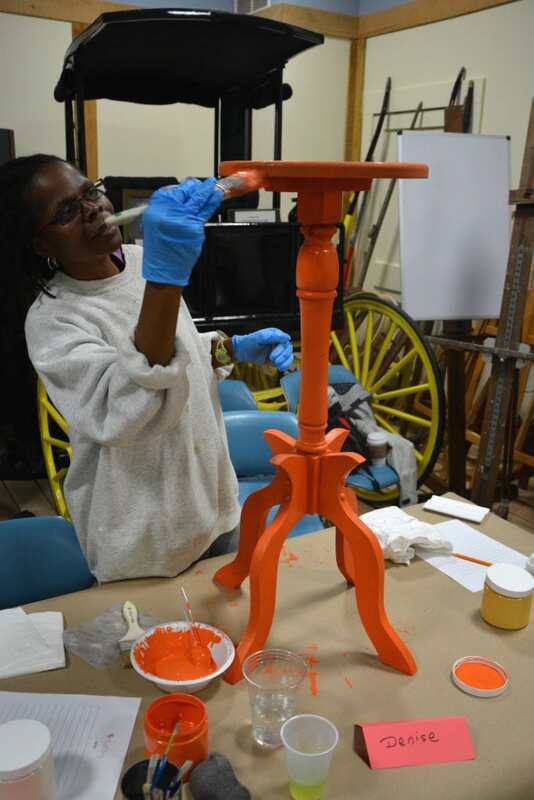 When she first got started, she really wasn’t liking the orange because it was so similar in shade to the original color. She hoped that the Annie Sloan Arles that would go on top would really make it look more like what she wanted. Even though she was uncertain, she kept going for it, and had such a positive attitude about it! 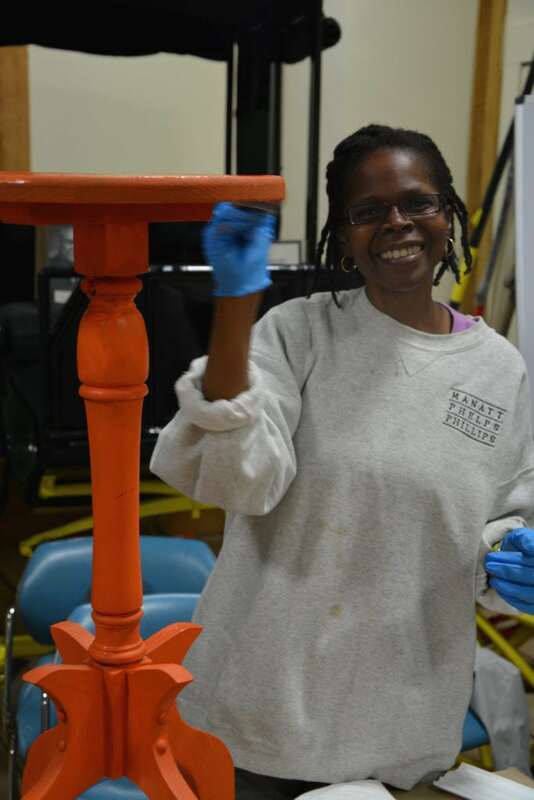 After a coat or two of Arles, along with some blow drying to speed up the drying, Denise was ready to do some sanding in order to bring out that Barcelona orange. She used a medium-grit sandpaper. I absolutely love the finished look! It’s not a color combo I would ever have thought to put together, but now that I’m seeing it, I’m inspired to try this on a piece! This color combo has a lot of energy, doesn’t it?! She joked that it looked so good and looked like something that she picked up from Home Goods, that she was going to try to “return” it to Home Goods to see if they’d give her money back for it! HA!! Good one, Denise! Oh, this poor magazine rack. 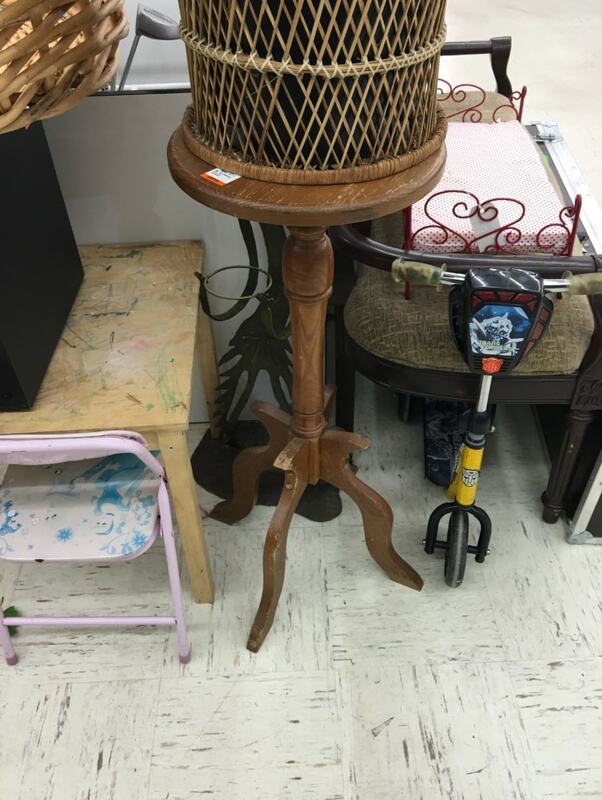 I can’t imagine how many people must have passed this thing in the thrift store, having no idea just how pretty it could be! It was the perfect project for class because it had a bunch of scratches that were perfect for showing students how to use wood filler and how to sand it down to smooth it out! But this was a challenging project! 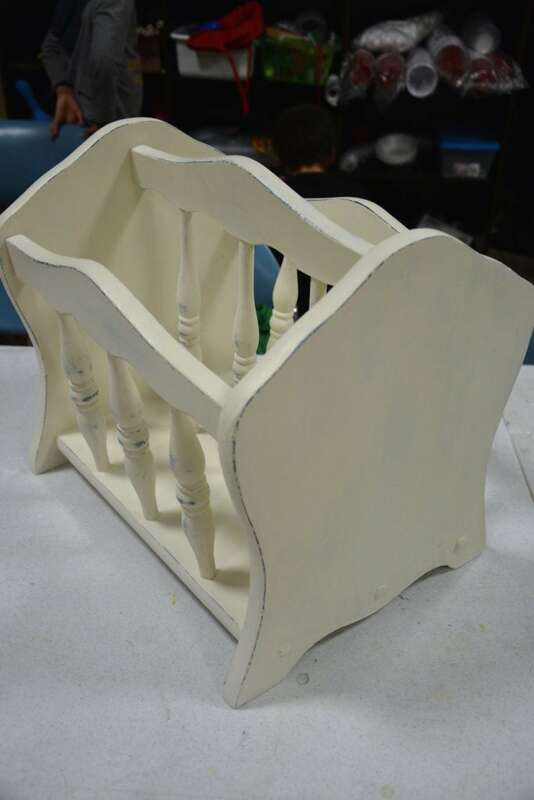 Do you know how difficult it is to reach inside of a magazine rack and paint 9 spindles?! I was helping Diana with her project because it was like The Never Ending Spindles. Finally, we got two coats of Florence on and was able to dry it! This magazine rack was for her son’s house, and you know men don’t do turquoise, right?? Men can do white….so that’s what she put on top, with the goal of pulling some of that Florence out from under the Old White. I think it turned out perfect with just the right amount of distressing to make it interesting! TIP: Layering colors gives a piece of furniture a little bit more dimension than if you just distress it or paint it a solid color. Be sure not to press too hard or else you’ll remove too much of the color underneath. Distress around areas where natural wear occurs, like edges and rounded areas! If you remember, last month I had found (well, Pete had found them for me….LOL….) 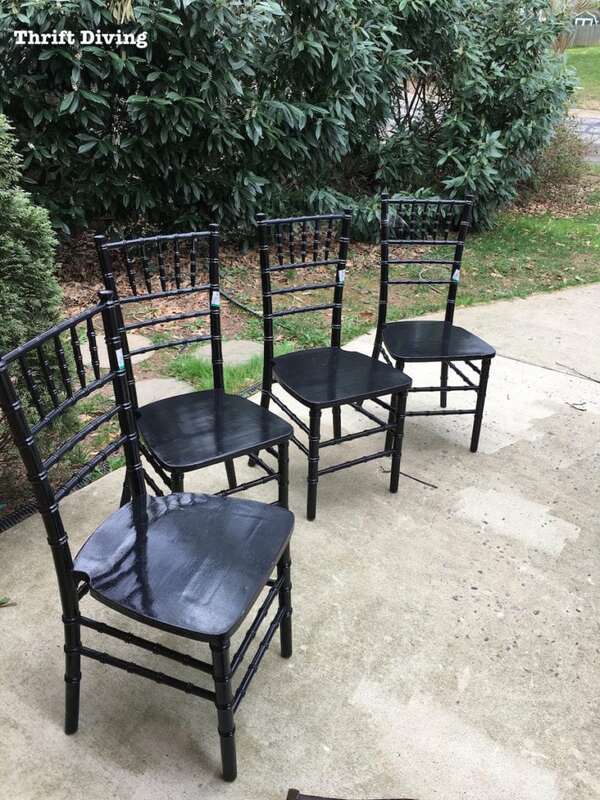 these four chairs for paint class. I ended up using 3 of them in class and had one left over for this class. 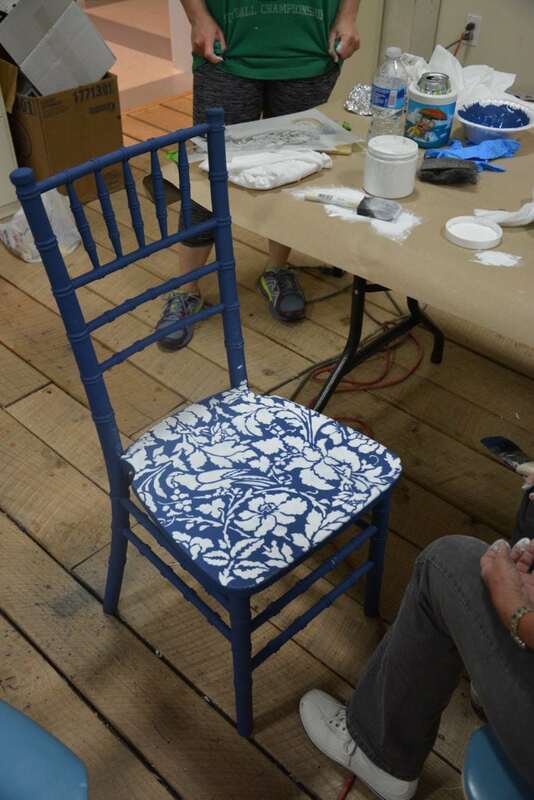 Susan loved the chair and knew immediately that she wanted to use Aubusson Blue and Pure White! 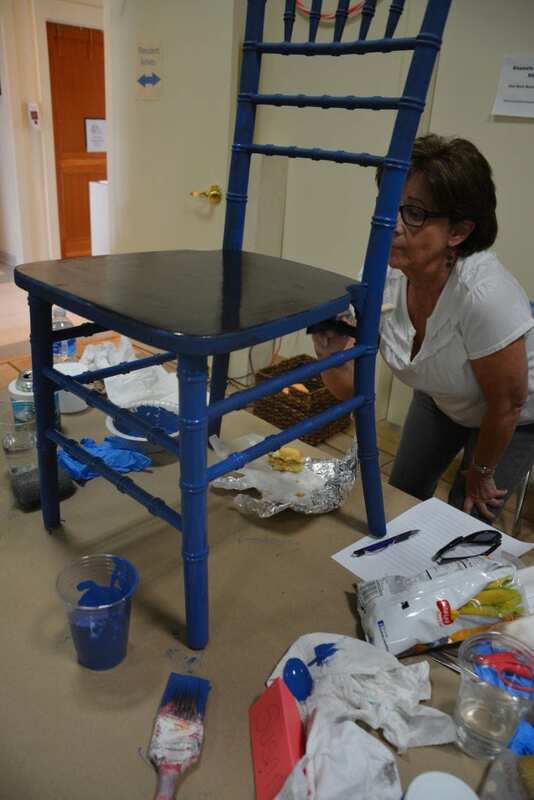 She had never painted furniture before but let me tell you something–this woman has a good hand for painting! Most new students tend to have problems with loading their brushes too heavily, causing runs (which can be hard to clean up sometimes). But Susan was really good with that brush and I don’t think I saw one drip! 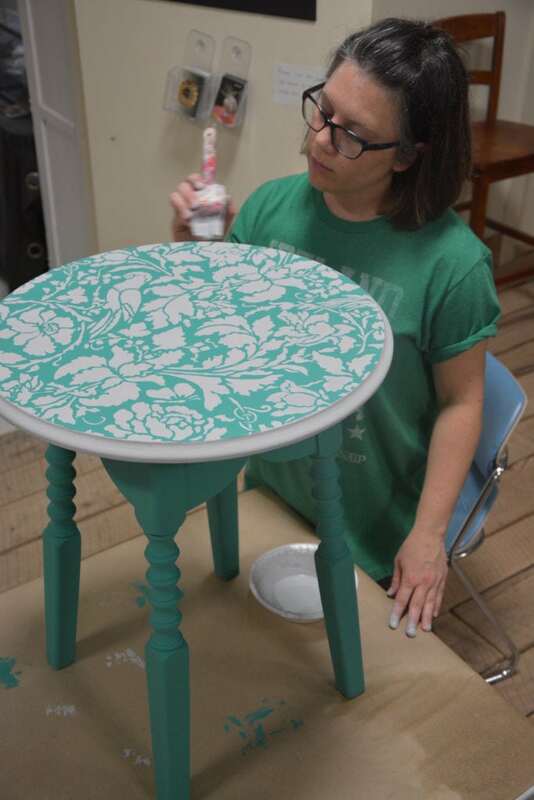 She thought she was going to paint the seat white, but after she saw Jen’s stenciled table top, decided she wanted a stencil, too. My pretty floral stencil was perfect. 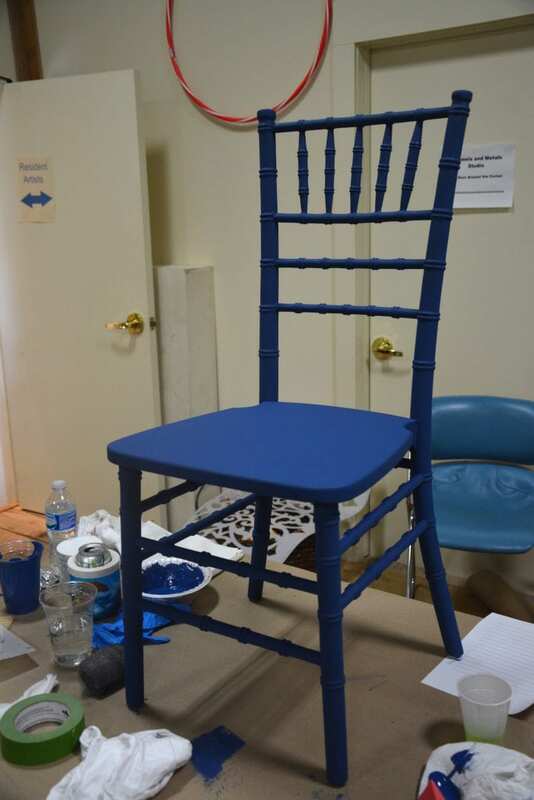 So the seat got a nice coat of Aubusson Blue, too! (Isn’t that color stunning???). Stenciling isn’t easy (have you seen the stencil I did in my bathroom?? It nearly broke my spirit on ever using stencils again! LOL). Doing a chair seat isn’t easy, either, because you have to bend the stencil to fit around edges, which is difficult. And, of course, you want to make sure you don’t get seeping underneath. 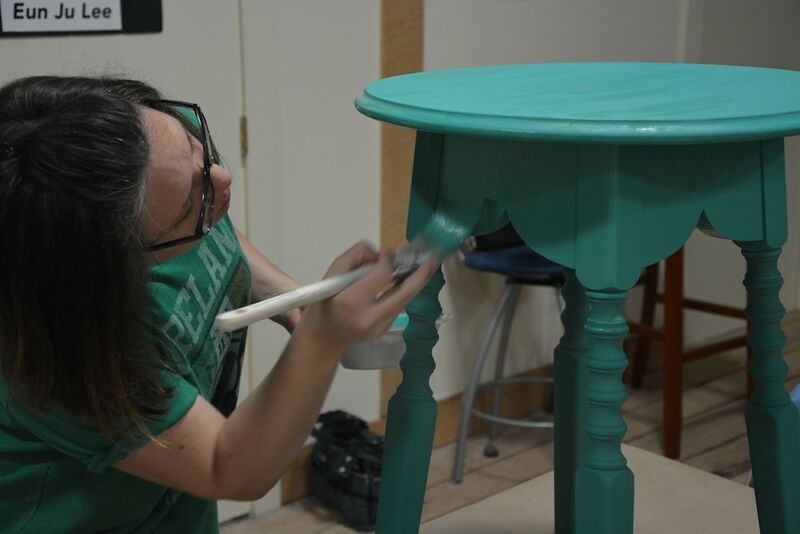 But with Jen’s help (since I was helping other students), and a few touch-ups, they were able to pull off such a pretty chair makeover! 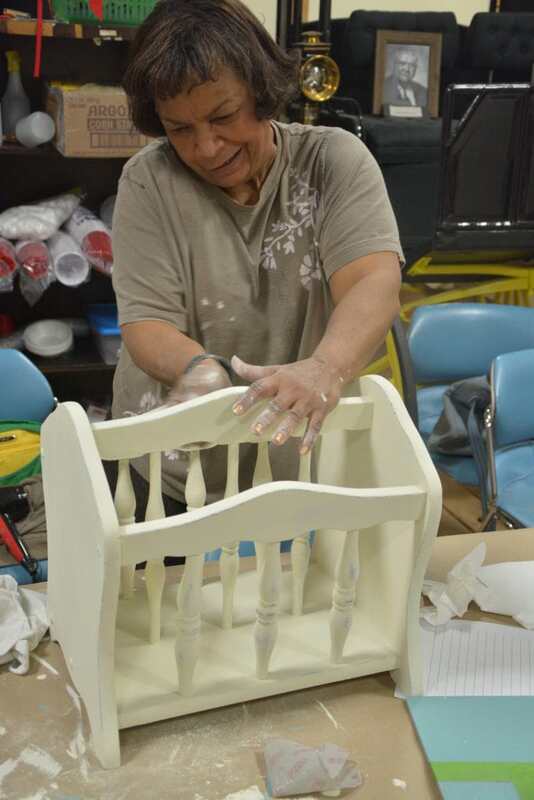 Susan loves shiny furniture, so she’s going to add a coat of glossy poly at home. TIP: Pairing Pure White with a dark color makes that white pop even more and gives it a crisp look! 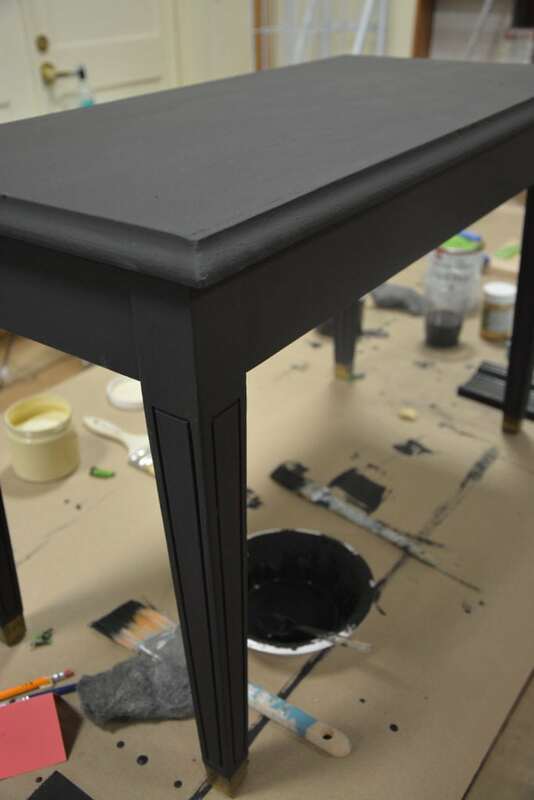 One of my favorite looks is painting edges of tables or trim areas for more definition. I don’t know why I almost walked away from this piano bench. But I’m so glad I didn’t! It was perfect for paint class! I love that Lisa chose Amy Howard at Home Black paint. 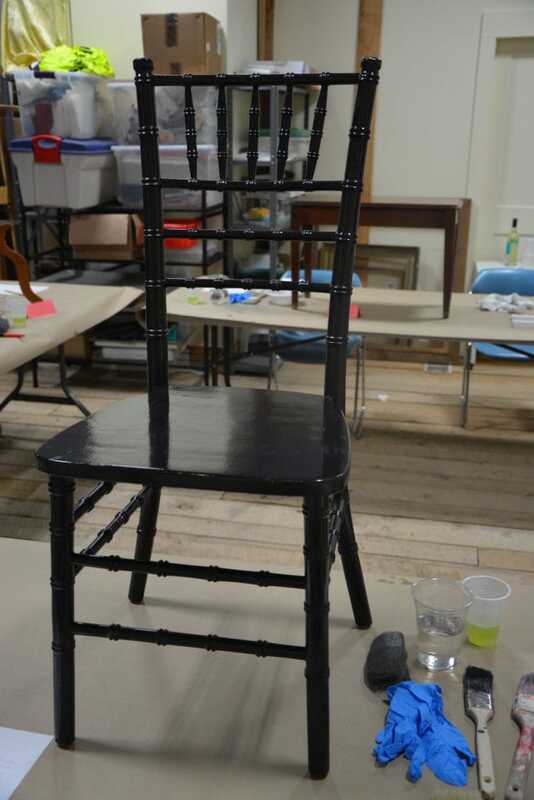 If you’ve used Annie Sloan’s Graphite and Amy Howard’s Black paint, you know that they’re about 3 shades different. 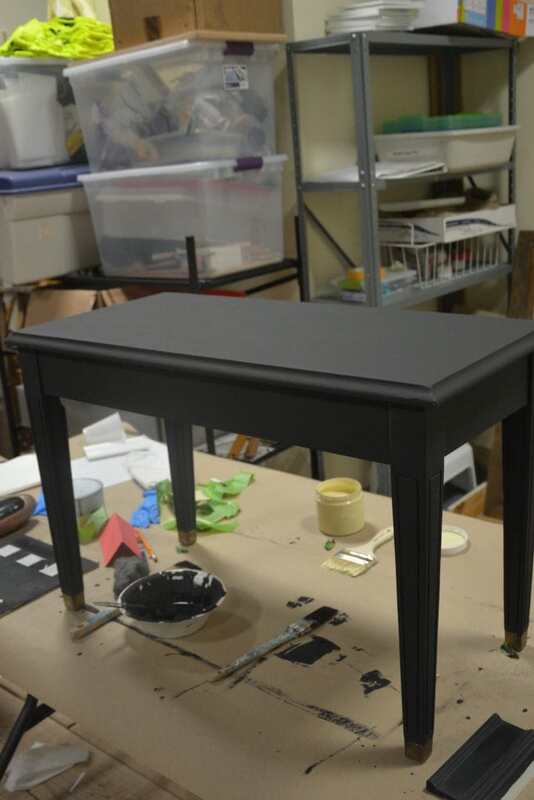 Amy Howard’s Black paint is a true black, whereas the Annie Sloan is more of a dark gray. That’s why I loving having both colors in class. Amy Howard Black paint is soooo rich, it’s really one of my favorites. And the thing I like about this black is that it’s so “hearty” that even if you went with one coat, you could probably get away with it. Most paints, however, you need two coats. Anyhow, Lisa wanted a black and white checkered pattern on top. 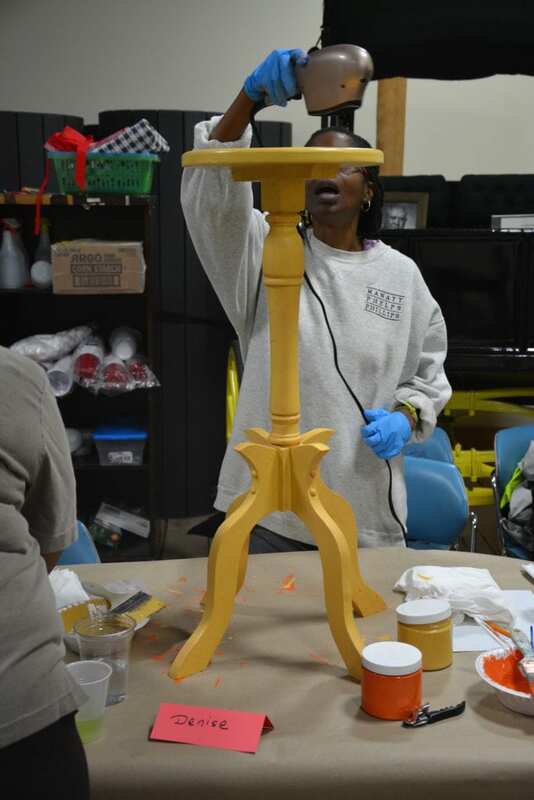 Since she has a stencil at home, she is going to finish the top there, and then add some poly to make it glossy. (Here’s a great checkered stencil from Amazon). I can’t wait to see how Lisa’s project looks after she used the stencil! 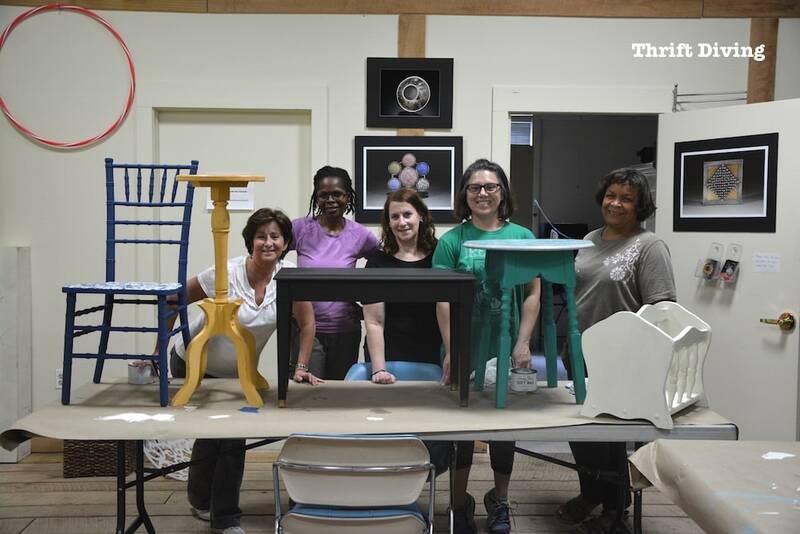 A Fun Furniture Painting Class! I had a great time with this bunch of ladies! And what I like best is that class was small. I’ve tried doing larger classes (like around 10 people) and it was a disaster. Too many people, not enough space, and not enough individual attention. With fewer people, it was more cozy, and I think everyone appreciated that! And how awesome that my son’s had great behavior again! 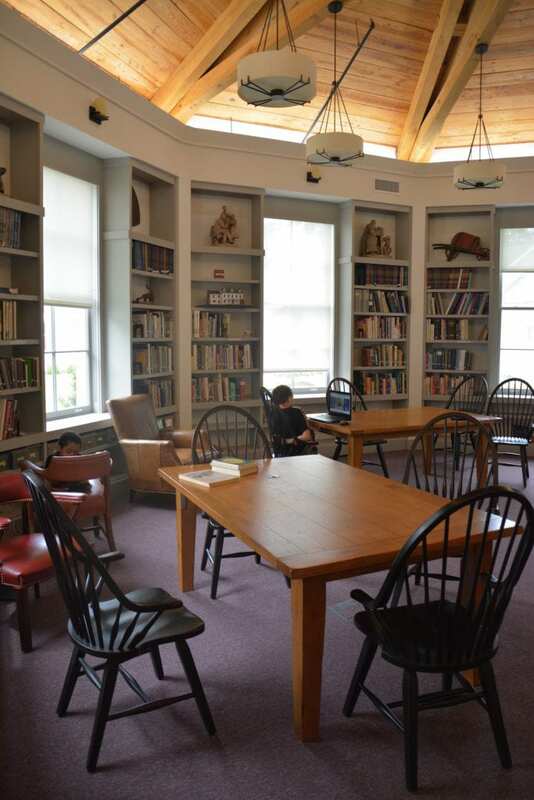 I left them in the library there at the Sandy Spring museum and they were happy as clams with their electronics and pizza that I ordered for them! P.S. Here’s a little bonus color combo that I really like for kid’s projects: Annie Sloan Napoleonic Blue with Emperor’s Silk! Add in some fresh white for a fun look! 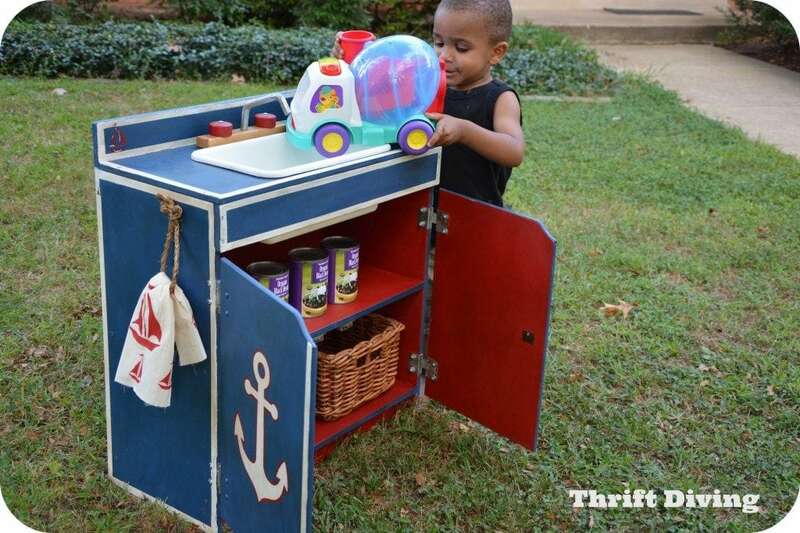 (See this kid’s play sink makeover from the thrift store). 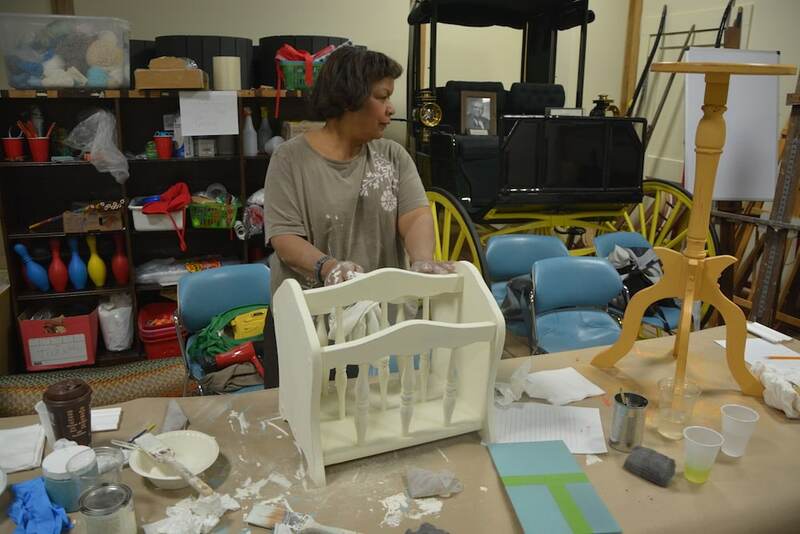 Looking for furniture painting classes? You can register HERE. 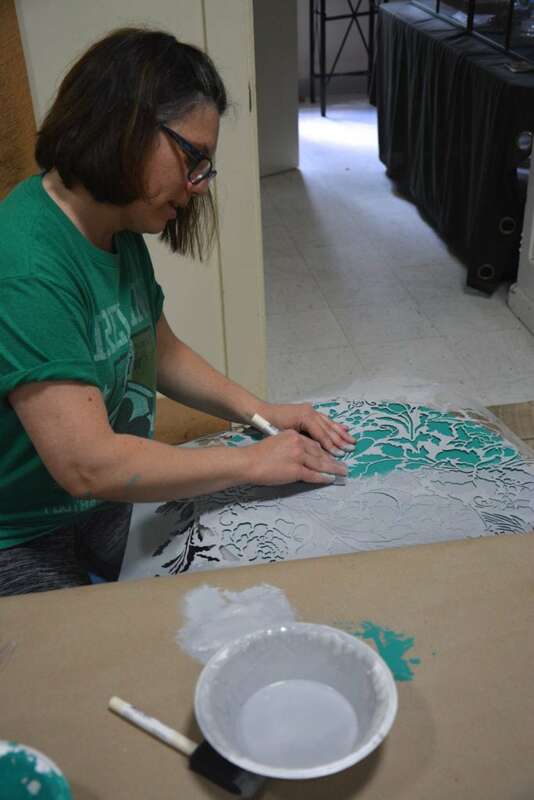 This Floral Damask stencil is my favorite and I have here on many projects. Get it HERE. 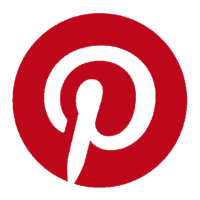 I like to buy Annie Sloan chalk paint online HERE. Amazon sells Amy Howard at Home paint HERE. Nervous about using Power Tools? Sign up for my hands-on class HERE. So which of these color combo do you like the best? Do you have any favorite color combos? Hello! 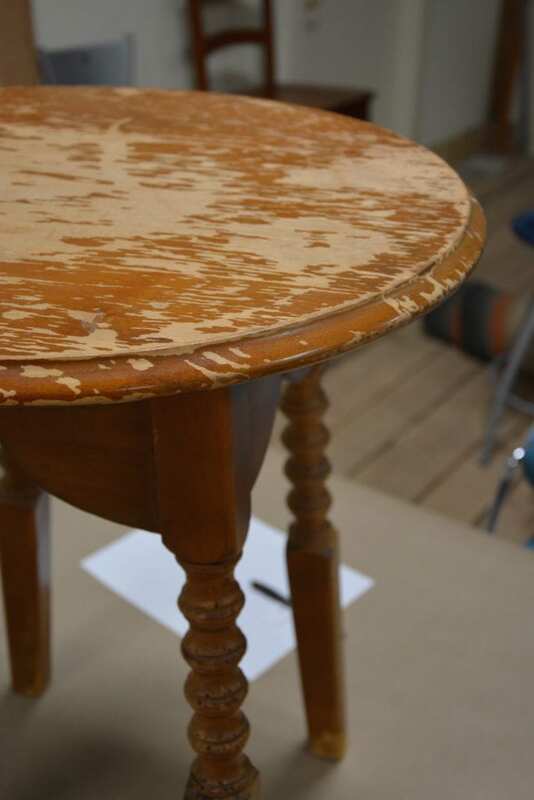 Can you please telm what kind of paint should I use to stencil an old wood table? It will be used as a dinning room table! Thanks!! Hey, Filipa! 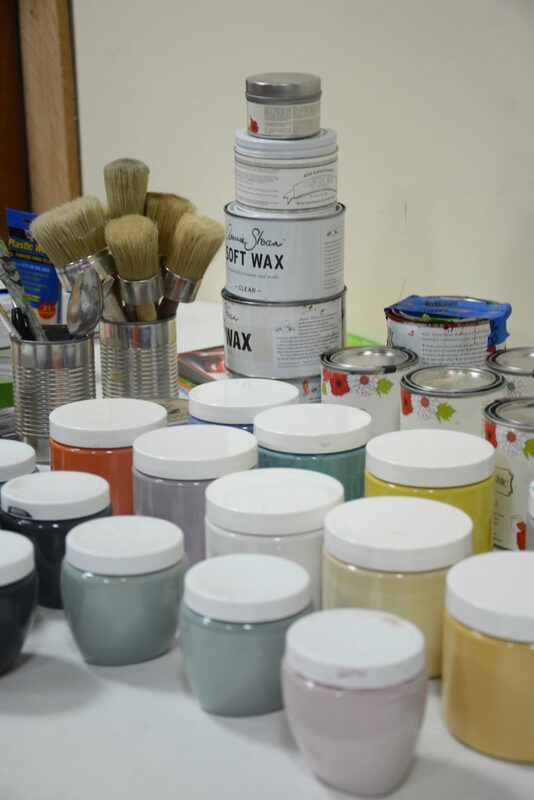 There are many paints you can use, but I would use either Beyond Paint, Folk Art paint, Annie Sloan, or Amy Howard. Any one of them will work. You can see more paints here and the PROs and CONs of each: https://thriftdiving.com/whats-the-best-paint-for-furniture/. Hope that helps! Yay! Your class looks like a LOT of fun Serena! 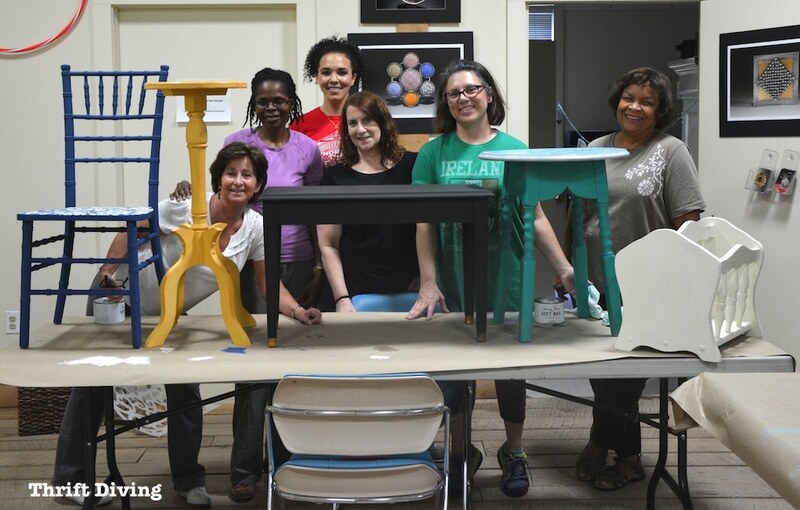 I wish I could fit in furniture painting classes locally. Hey, Gail! Yeah, I love class! Those 5 hours fly by. You’d think it would be enough to get a lot done but it goes by too fast. All of your students did a great job – nice sized class, too! I love them all but the chair was my fav………I have a thing for chairs! Thanks, Kelli! The chair is fabulous! And the class size is perfect! I realized that more than 6 is too many. Two to a table and it’s perfect! Great color combos! I loved seeing the before and afters your students came up with. It looks like you all had a super time! Serena, these were all nice. I certainly know how it is to struggle with spindles…they are never-ending! My fav is the turquoise! Sooo pretty and popping! All the others were very nice also. Are you a distributor of Annie Sloan?